Impacted molar teeth. 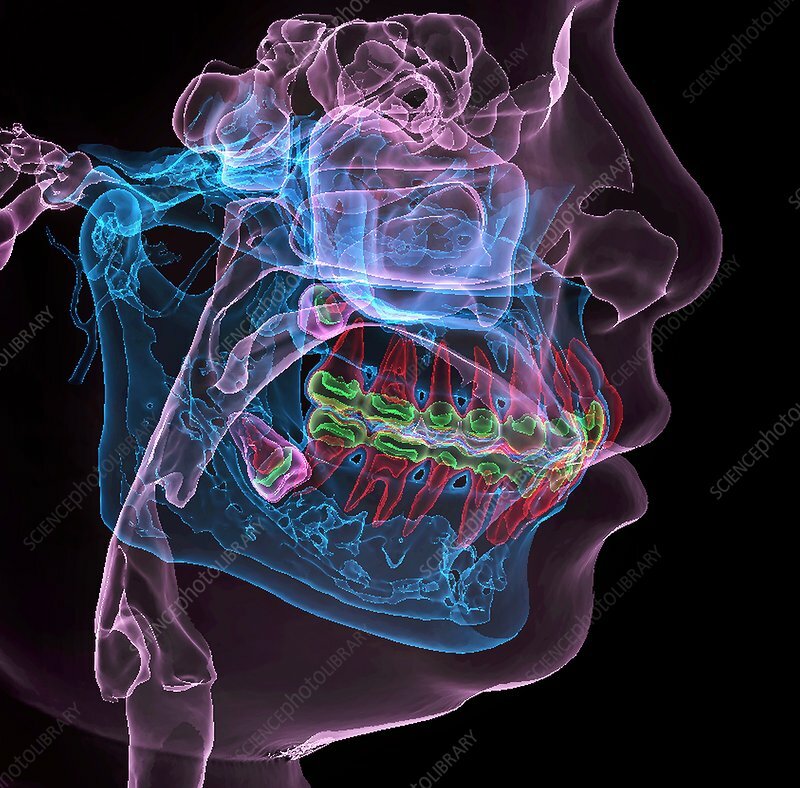 Coloured 3D computed tomography (CT) scan of a human jaw, showing the teeth (red) with two impacted molars (upper and lower centre). Impacted teeth are teeth that fail to erupt into the mouth. The cause can be due to a number of factors, usually due to a lack of space in the mouth. Also shown is the location of the mandibular nerve (dotted line).